Narrated by Leonardo DiCaprio, Hubble 3D IMAX tells the story of the successful Hubble Telescope repair and upgrade completed by the NASA Space Shuttle Atlantis crew in May 2009. The Atlantis crew used an IMAX 3D camera to capture their five space walks. 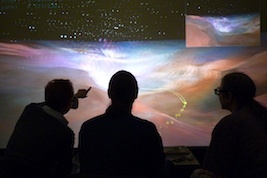 AVL used cinematic computer-graphic visualizations of scientific data from Baltimore’s Space Telescope Science Institute and Princeton University’s Department of Astrophysical Sciences to create two 3D flights into space. 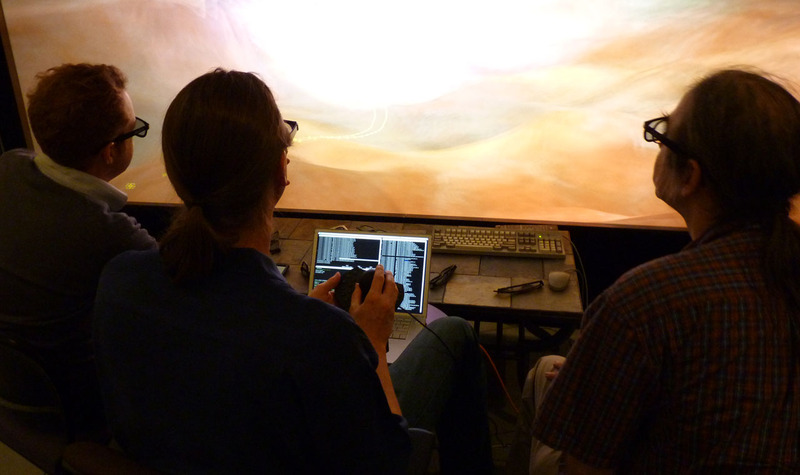 AVL’ s sequences are extraordinarily luminous and richly detailed because of their extremely high resolution: 5,616 x 4,096 pixels per frame, compared to 1,920 x 1,080 pixels for a top high-definition plasma TV. The AVL team worked for six months on the IMAX-funded project, developing new visualization technologies and using their patented VirtualDirector software to collaborate and interactively choreograph shots with IMAX creatives and a NASA-associated scientist. 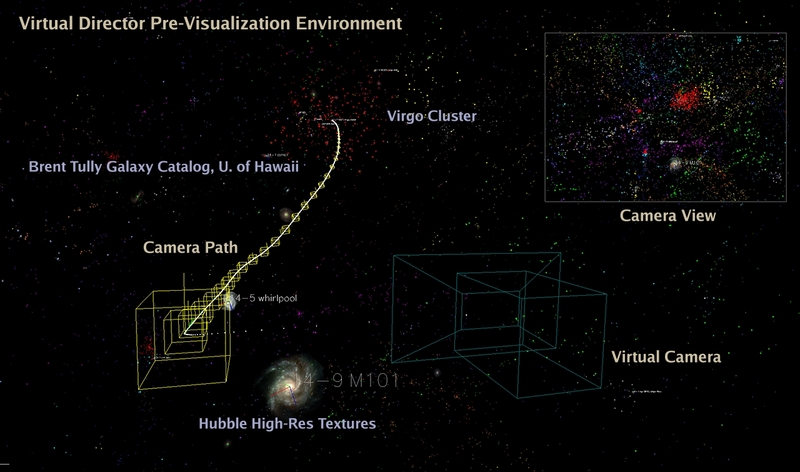 One sequence takes viewers on a flight from the Milky Way galaxy, past our nearest neighbor, the Andromeda Galaxy, and into the Virgo Cluster, a group of more than 1,000 galaxies in the constellation Virgo. The final image in this section of the film is a view of the star-studded cosmic web, the tenuous filaments that make up the skeleton of the universe. The second sequence takes viewers from Earth to Orion the Hunter, one of the most recognized constellations. Viewers fly into the night sky toward the three stars of Orion’s belt. The belt breaks apart, revealing that its stars actually sit on three distinct planes. 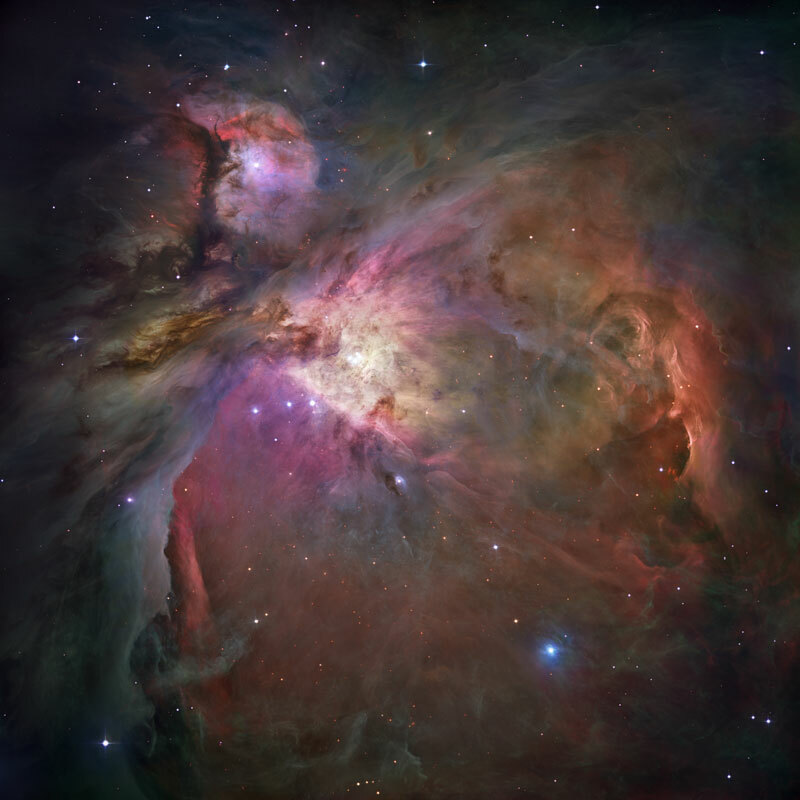 The journey reaches its climax as viewers pierce the veil of the mysterious Orion Nebula and enter its nursery of stars. 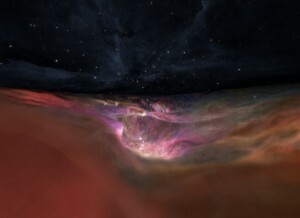 This revealing view of the Orion Nebula is made possible by Hubble Telescope-derived data, which AVL has used to create this first-time-ever 3D visualization for the large screen. “Hubble 3D” © 2010 Warner Bros. The hottest of the stars (the Trapezium group) flood the nebula with ultraviolet light that heats and makes the gas fluoresce, gradually carving out the valley we see here. The valley is filled with tadpole- shaped proplyds, each one giving birth to a new star. 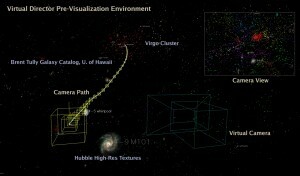 Visualization developed and rendered at NCSA, University of Illinois. The Hubble Telescope’s capabilities for visualizing our universe are so significant that the American Association for the Advancement of Science has named its successful repair and upgrade as one of the top ten scientific achievements of 2009. 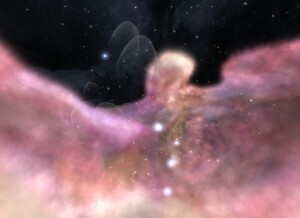 For more information, read our Hubble 3D Production Notes.